In two weeks there will be a huge international meeting on aid effectiveness in Busan, South Korea. Ban Ki-moon and Hillary Clinton will be among the two thousand delegates who gather together to discuss improvements in how aid is delivered. Though David Cameron and Barack Obama said (in a joint statement) that they would ensure that Busan “transforms the way bilateral aid is delivered around the world”, it looks increasingly as if the meeting will, as Simon Maxwell notes on his blog, produce “a bark but no bite.” Though it is full of worthy intent, there is little in the latest (fourth) draft of the Busan Outcome Document which suggests that it will result in more changes in donor behaviour than did the communiques from previous summits in Rome (2003), Paris (2005) and Accra (2008). 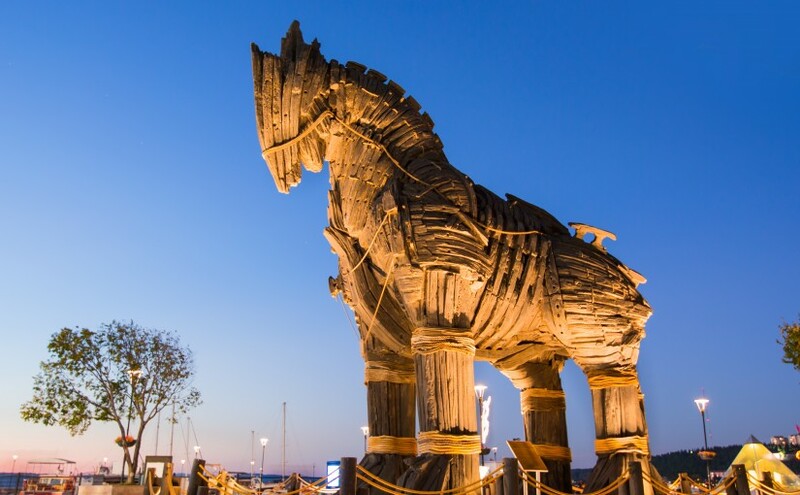 Two key pieces of background evidence have just been published which provide the backdrop to the discussions in Busan. First, the Broookings Institution and my colleagues at the Center for Global Development have published an updated Quality of Official Development Assistance index (QuODA), which scores donors on the effectiveness of their aid. Second, Publish What You Fund has published an Aid Transparency Index ranking donors according to how much information they make available about the aid they give. Donors may quibble about which of the indicators are important, though all the indicators reflect solid academic research and experience about what makes aid effective, embedded in the international consensus about aid effectiveness to which they have signed up. For anyone wanting to focus on particular indicator and dimensions of effectiveness, the data are published online in an interactive web tool. The PWYF Aid Transparency Index, published today, dives deeper into whether donors publish adequate information about the aid they give. They analyze 58 organisations on 37 dimensions of transparency, mainly relating to whether information is available about particular projects and activities. The World Bank tops the transparency index too. 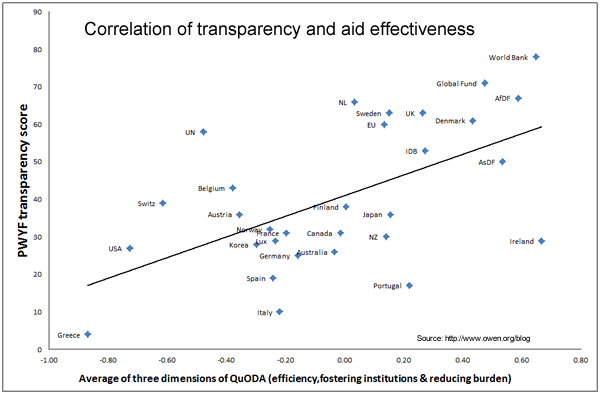 Indeed, there appears to be a strong correlation between aid transparency and aid effectiveness more generally. The chart below plots the PWYF transparency scores against the average of the three dimensions of QuODA which do not relate to transparency. c. transparency causes effectiveness: agencies that are open and transparent are less likely to make decisions to use aid ineffectively because they will be held to account by politicians and the public. The good news from both the QuODA index of aid quality and the PWYF Aid Transparency index is that it is possible for donors to live up to the goals they have set themselves to make aid more effective and more transparent. 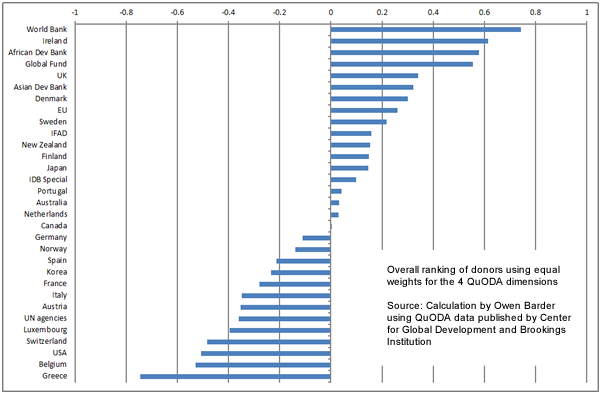 Most donors do well on some indicators, and yet are a long way behind the best on others. The bad news is that there is a long way to go before donors overall live up to the pledges they have given. Time will tell whether yet another conference, and yet another communique, will make any more difference to donor behaviour than have the last three. However, there does now seem to be welcome momentum towards putting more information about aid into the public domain, and we may hope that this will, over time, provide both the information and political pressure needed to make aid more effective. If Busan succeeds in giving a big push to aid transparency, that may be the biggest contribution it can make towards the ambitious goal of ‘transforming’ aid. What an excellent article!! Full of useful and intriguing information. In the current economic climate, making aid effective is even more important as donor nations may be tempted to pull back on funding development efforts worldwide. I believe that well-run grassroots efforts are the way to go, but it is good to hear that an organization as large as the World Bank is leading the way on these important dimensions. Thank you for this. I will have to read more of your work. Making the information available is so much more important than only informing the World at large. Full information about what the others do (and what you do yourself in comparison to others) is in the real world the driver for promoting division of labor. Division of labor is the driver for real efficiency as in value for money, innovation and quality. This is vitally important info and challenges skepticism about the World Bank’s role in promoting development. “In many cases, past development policies have created interest groups which now fight for perpetuation of their favored positions. Equally significant is the creation of extensive bureaucratic agencies to promote development. In time, most develop clienteles, regulatory power, and patronage-dispensing claims that they are loathe to see diminished through reform. Such interest groups are often able to block reforms aimed at undoing the harmful consequences of the very policies which created the interest groups.” p. 162. Previous Previous post: Who is implementing the aid transparency agreement?